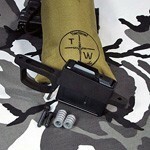 Remington Parts :: Remington :: Tactical Works, Inc.
Remington 700 Long Action Trigger Guard for Detachable Magazine. 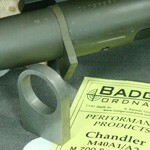 Remington 700 Short Action Trigger Guard for Detachable Magazine. A must for any rebarrel job. 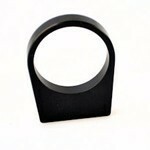 For use with the M700 series rifles. Thicker (.312” precision ground), taller, tapered and radiused corners on the bottom for ease of installation. The Remington recoil lug is 1 1/6 diameter.